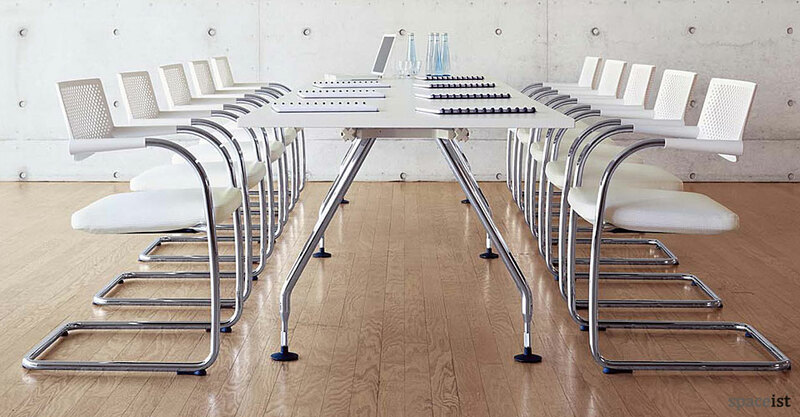 The cantilever chair was first introduced in the mid-1920’s, presenting a modern alternative to the regular four-leg chair with its iconic bent metal base forming the main supporting structure. 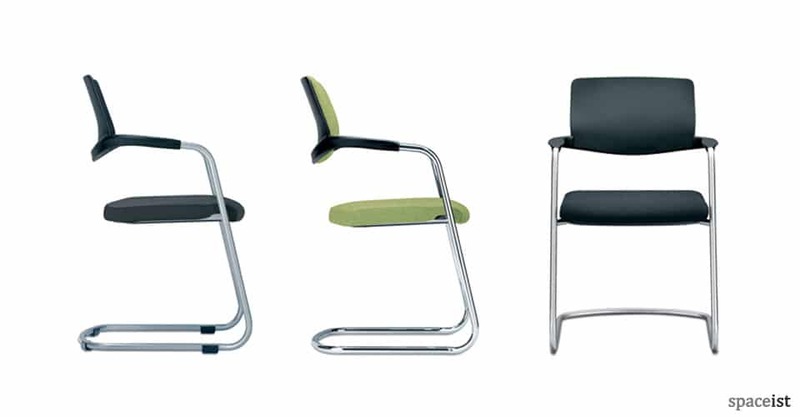 Although it is unclear as to who was the original designer of the very first cantilever chair, various sources link the original design to a range of Dutch designers including Marcel Breuer, Mart Stam and Ludvig Mies van der Rohe. 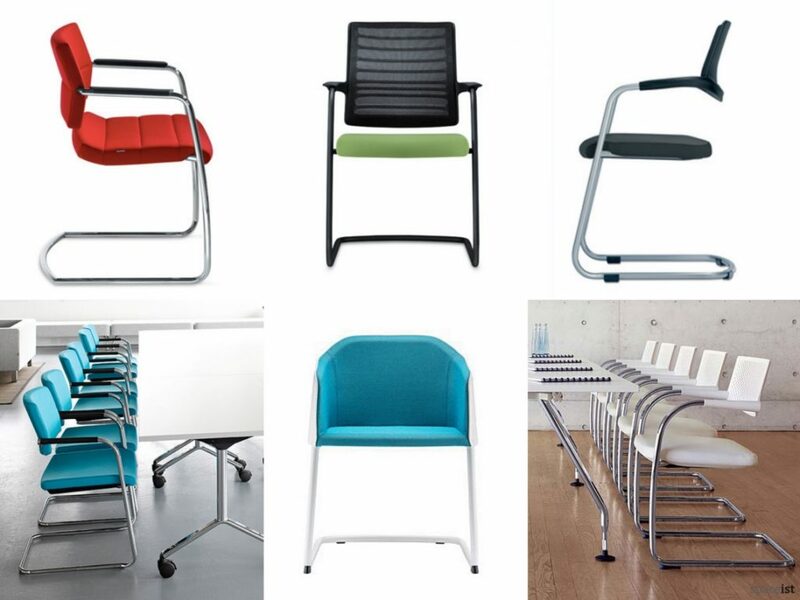 Over the years, the cantilever chair has evolved and formed a key element in commercial interior seating, especially the workplace. We present six of our top cantilever chairs that offer the original characteristics of the distinct form but with a style to suit modern interior spaces. Designed to blend into any setting, from a reception area to the meeting room, the Nimbos chair is designed and manufactured with high quality german craftsmanship that will see the chair retain its form over a long period of time. The armrest and back rest are formed with minimal integrated design and the chair comes with a variety of base colours, with over 60 upholstery choices to match with branding and any specific design identity. Easy to stack for space optimisation, the chair is both lightweight yet highly robust due to the unobstructive and clean lines. The Nimbos offers great economic value with a high quality and minimal design. The Hero presents an unassuming combination of slim-line design with intergrated technology, creating a highly ergonomic and stable cantilever chair. Integrated into the L shaped frame is a unique autofit-synchronous mechanism that focuses on the users weight, automatically aligning the firmness and comfort level of the seat. The result of this technology is that the user will find a hard or soft seat, according to their weight and body frame, making it feel unique to each type of user. This definitive element adds a versatile function to the Hero making it suited for application within a range of settings, as well as the workplace, clinics and educational facilities. 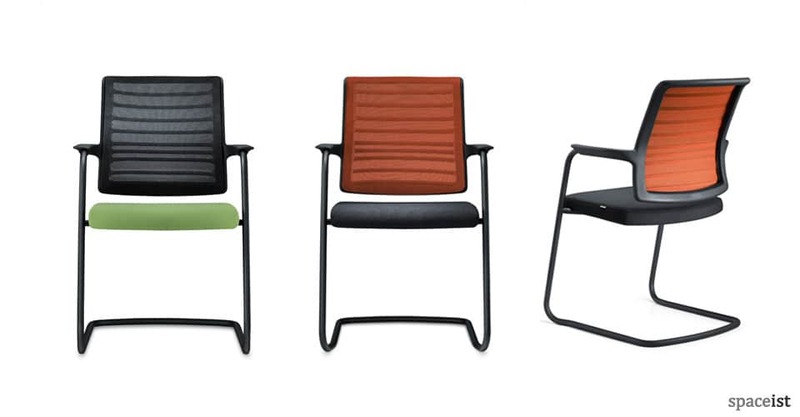 The mesh back-rest aligns with the slim-line form and comes in a variety of colours to coordinate as does the seat fabric. The Hero offers full support with an agile and highly functional design to match. 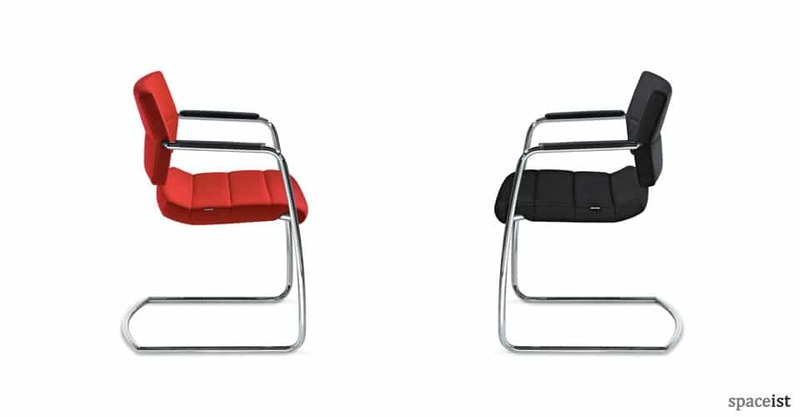 The Mix cantilever chair promotes micro-movements, further establishing a whole-rounded level of comfort for the user with full support on the spine and back. The Mix chair comes with an upholstered back and seat that has a special contoured shape to provide additional support when in use for a long time. Further features include a discreet buffer pad below the seat avoid marking of the seat when the chair is stacked, maintaining its original form for over an extended period of time. 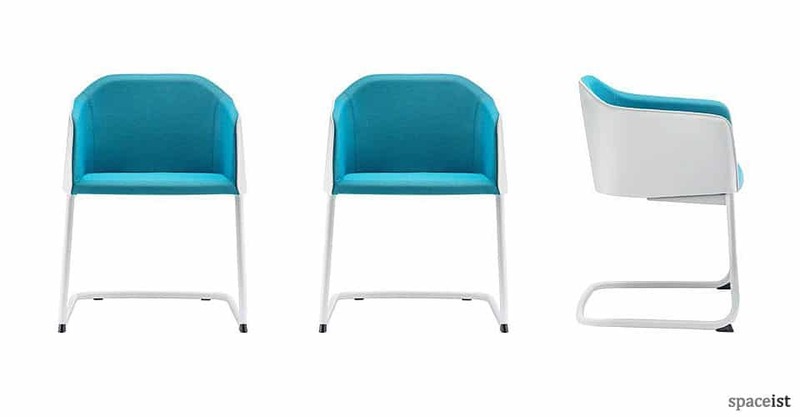 With over 100 fabric colours to choose from for the seat and backrest, Mix can be customised widely to match design elements of a project with ease. An elegant cantilever chair formed with a steel rod base and segmented upholstery seat and backrest design, the Champ chair presents a sophisticated option for professional working environments. The key characteristic is the lightness of the chair combined with a variety of back heights for increased comfort and appeal. 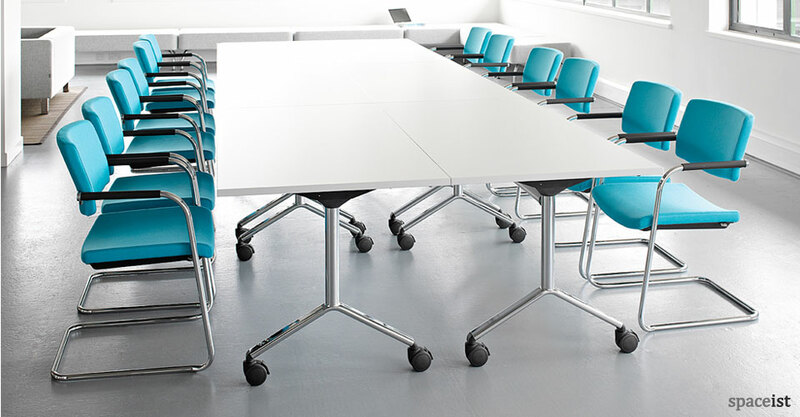 For ease of movement on hard floors, optional felt gliders are available and the chair can be easily stacked for an economical use of space. The colours shown above are only two of the options from the choice of 60 fabric or leather shades available. The Laj seating range presents elegance and character with its distinctive shell form that surrounds and supports the user fully. The highly comfortable chair is created with the use of elastic belts surrounded by injected polyurethane foam, giving the chair a certain level of flexibility when in use without over stretching it from its original shape. The cantilever version infuses the original seat elements of the Laj chair with a solid metal L-shaped base finished off with brackets to provide extra function. The cosy seat shape allows user to really relax into the Laj chair as it offers unconditional support.